We have snow here but it hasn't stuck to any of the plants yet, it only covers the ground. I like when the snow piles up on the ends of branches and on leaves. 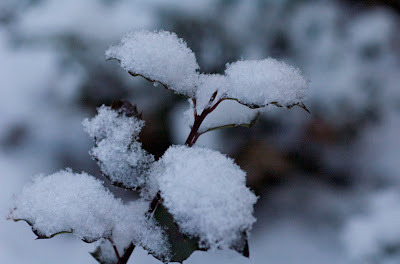 Last year somebody who commented on my blog called that effect "snow flowers".